Amazon Cash is the fast, no fee way to add cash to your Amazon Balance and is currently available at thousands of Canada Post locations. 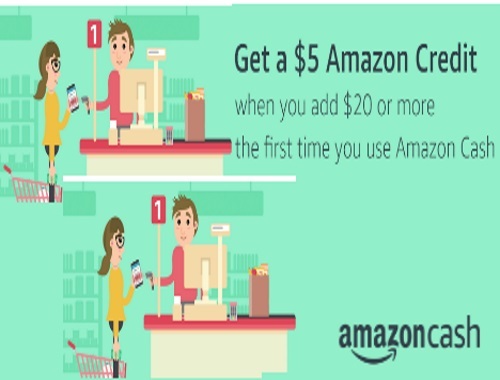 Try Amazon Cash for the first time by adding $20 or more to your Amazon Balance and earn a $5 Amazon Credit towards your next purchase on Amazon. Your discount will automatically be applied at checkout. This is a limited time offer, one per Amazon customer account. The promotional credit expires on December 31, 2017.